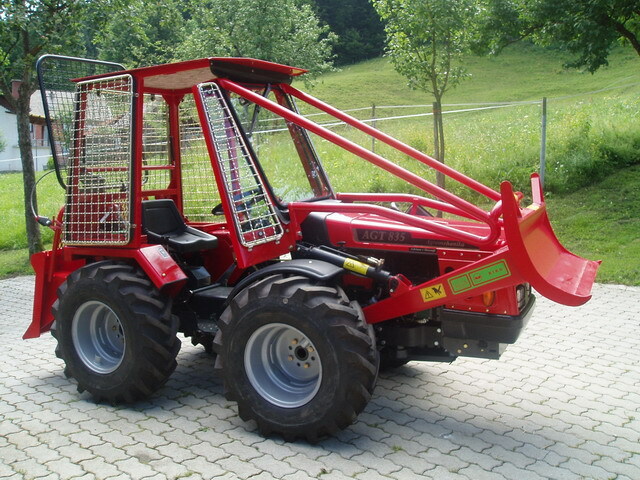 Treadlight Forestry specialises in the sale of alpine tractors. Alpine tractors are incredibly compact and agile which makes them perfect for steep land and forestry work. They are very powerful for their size but light enough for sensitive or wet land sites. In recent years these qualities have been recognised in the UK where they are particular suited to low impact forestry and conservation work. What sets alpine tractors apart from other types of compact tractor is that they can oscillate by 15 degrees on the front axle. This means that all four wheels are kept in contact with the ground even on rough or sloped terrain. This makes they very safe to use and much less likely to slip or roll. They also have the engine mounted in front of the front wheels. This means they have a very good centre of balance and can lift large loads on the rear three-point linkage. Alpine tractors come in two basic types. Rigid steering and articulated steering. Rigid steering means the front wheels turn like a conventional tractor. This makes them suited to steep slopes where you need the rigid chassis but this does decrease the turning circle. Articulated machines bend in the middle to steer. This gives them an incredible turning circle but does make them less suited to slope work. Another feature on some models of alpine tractor is reversible or bi-directional seating. This means the seat and controls can be spun 180 degrees and the tractor driven forwards in reverse! This is brilliant on some jobs where you don’t want to have to turn the tractor for example you can reverse drive up to a log, attach it to the tractor, spin the seat around and drive out forwards! Agromehanika or AGT alpine tractors are manufactured in Slovina. 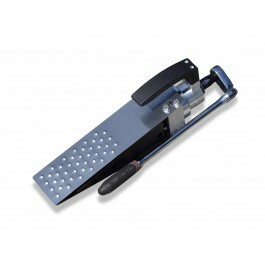 The are simple, incredibly robust machines which are extremely good value for money. This makes them very well suited to low impact forestry work in the UK where they can be worked hard with reliable and productive results. Standard Equipment: Front and rear diff lock. Mechanical controlled transmission clutch. Rear adjustable height Tow hitch. Foldable safety frame. Adjustable padded seat. Standard Equipment: Front and rear diff lock. Adjustable padded seat. Rear adjustable height tow hitch. Foldable safety frame. Safety starting switch. Standard Equipment: Front & Rear electrohydraulic engagement control diff lock. Rear and Front adjustable height tow hitch. Adjustable padded seat. Foldable safety frame. 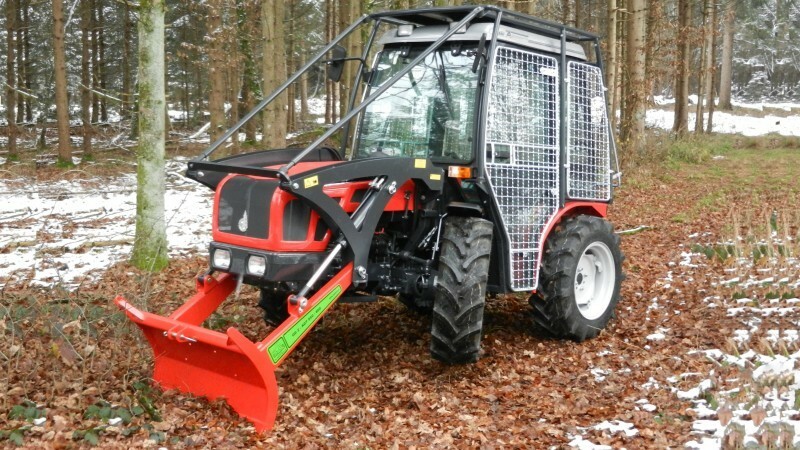 There is also a forestry version with safety cab and front blade. 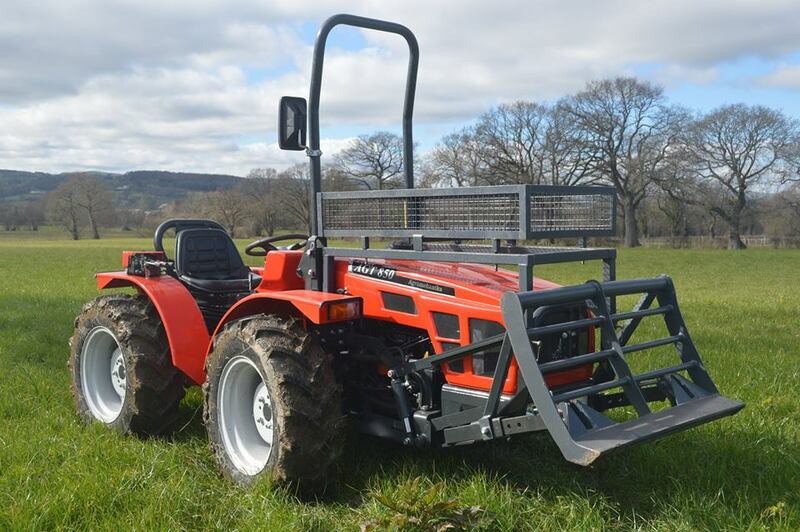 Treadlight Forestry are able to provide all models of AGT tractor and can offer some very attractive prices.